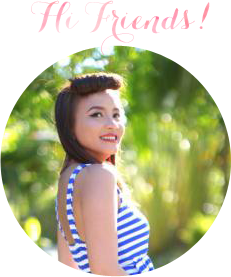 I was selected to be one of the four bloggers to participate in the Slimming 101 Slim 9 Challenge. I am adamant to get back into shape after giving birth two months ago to my sweet baby Naj. 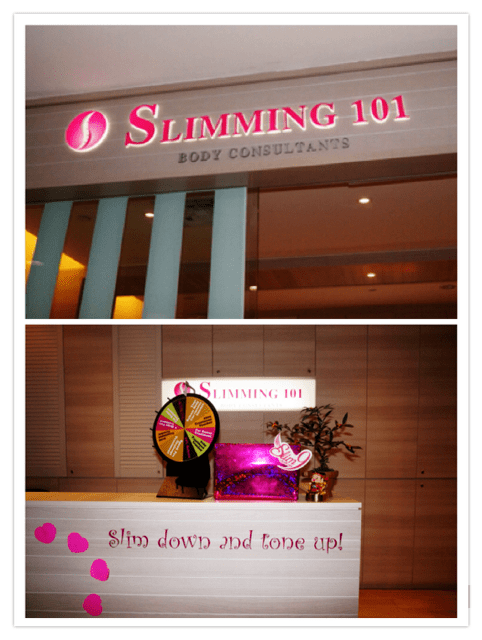 As I entered Slimming 101 Centre, I was greeted by their pretty, slim and very friendly consultants. 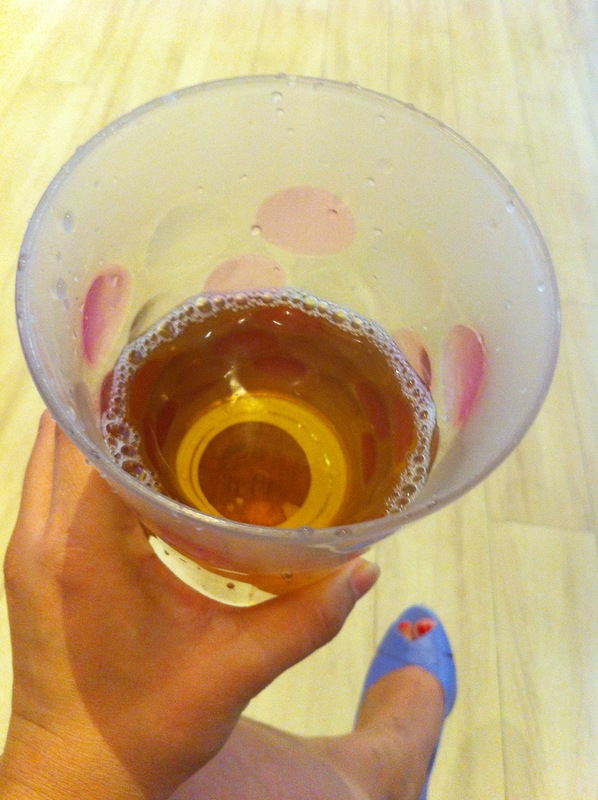 I was given an herbal tea before I started with the treatment. I was asked to step into this innocent looking machine that I realise is one scary little machine. It reveals a lot or should I say ‘too much’ of my weight and fats!!! 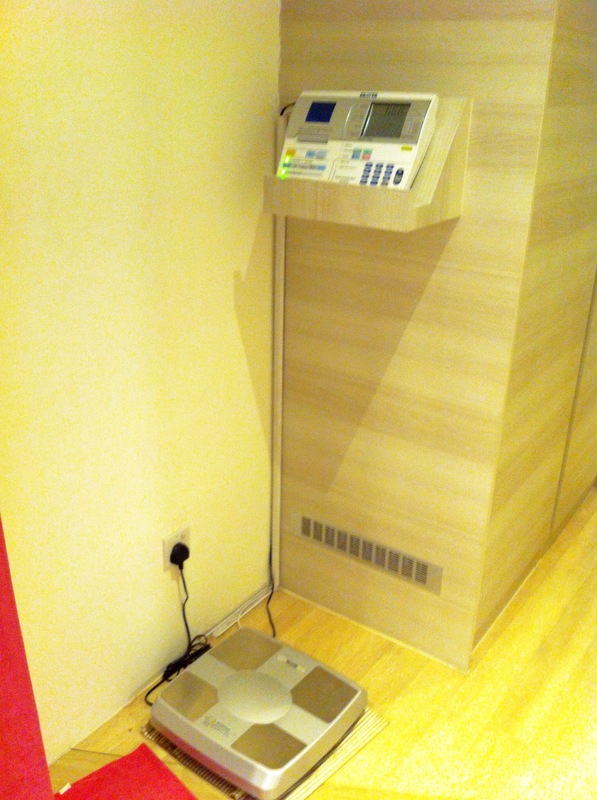 I normally don’t weigh myself so I learned that I am 5 kg heavier from my pre-pregnancy weight. I have to lose you, 5 kg! Just wait and see. I also learned I have very high visceral fats. And my metabolic weight is older than my real age. My metabolic age is 35 years old. 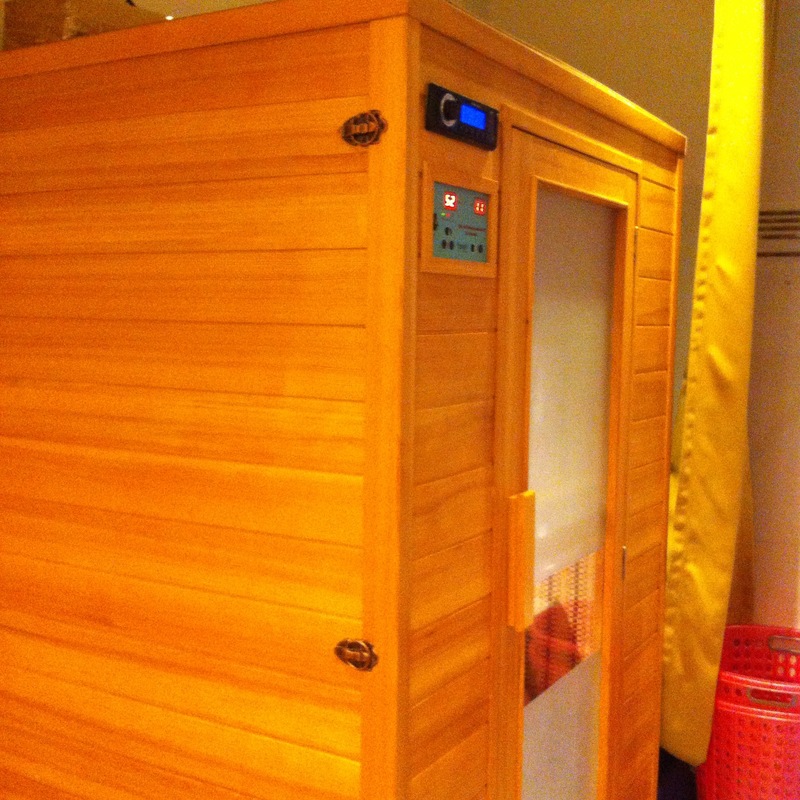 After the weighing, I was ushered in the sauna. I enjoy saunas so I was in my relaxed meditative state in my 15 minutes inside. Then, I was ready for my 1st of four sessions for the Slim9 Blogger’s Challenge by Slimming 101. I got to experience their SIGNATURE MERIDIAN THERAPY. SIGNATURE MERIDIAN THERAPY starts with an massage using a lemon oil. I love the citrusy smell of the scrub. Then the consultant proceeds by doing an acupressure body therapy using Traditional Chinese Medicine Principles. It will clear blockage and balance flow of qi and blood through stimulation of acupoints. I was told it will help by increasing my metabolism and aid in improvement of my digestion. I find it very relaxing. 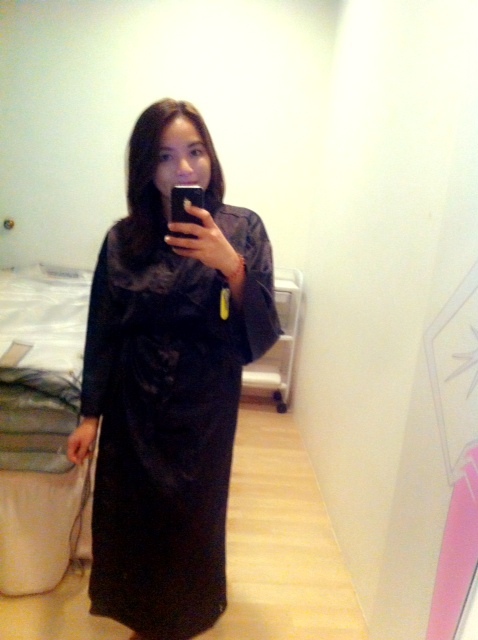 After the acupressure, the therapist covered me with a thin sheet of plastic then wrap over it a hot blanket. She warned me that I will be sweating profusely so one of them will time to time come over to help me wipe my sweat because I can’t ( my hands will be wrapped inside the hot blanket). It was very nice of them. All the therapists of the centre are well-trained and very very nice. I really thought that there will be no need of that because I don’t sweat a lot. Boy, i was so wrong! 15 minutes in the hot blanket, I was sweating in places I didn’t know can sweat. It reminds me of Bikram yoga which I really miss. It is like Bikram yoga while doing the corpse-pose (supine lying position) for 30 minutes. After the sweat session, I was led to the shower where I get to use their sister-company Beijing 101 shampoo and conditioner. Then measurement was again done. I lose 200g! Woopedo!!! I had a chat session with the consultant and assessed my dietary lifestyle. I was advised to drink more water to flush out water retention and toxins. I can’t wait for next several sessions with Slimming 101!